Beautiful pastel work by Michael Fisher from Portland, Oregon. The red column at the centre of course gives this away - it's the iconic El Beso in Buenos Aires (Riobamba 416). 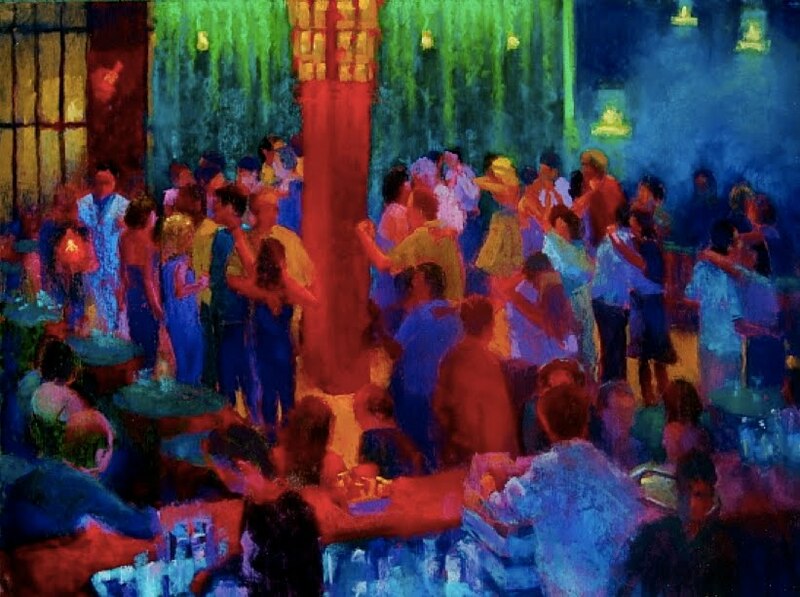 This piece truly captures El Beso's cosy magic and vibrancy.